Tizzy came to us from a lovely foster family in Nailsea, who taught her how to live in a house nicely. They did a very good job at house training, socialising and getting her to walk on the lead. 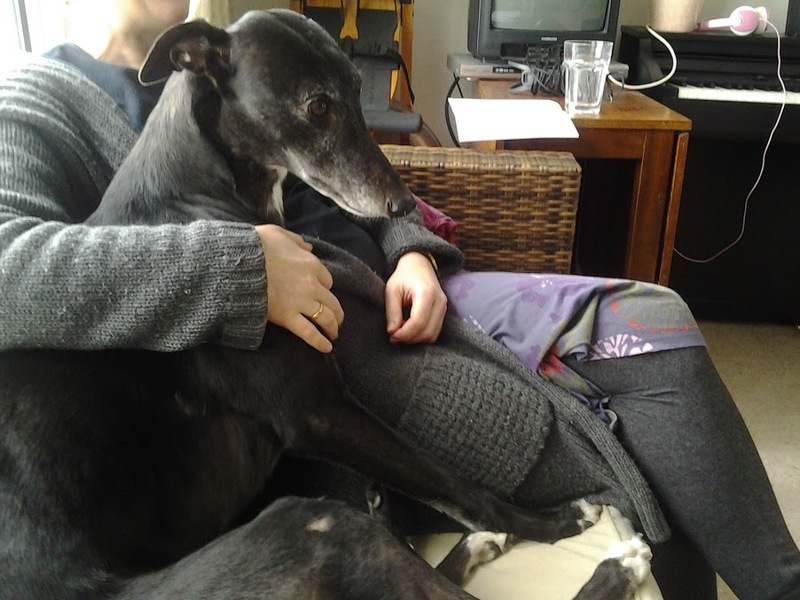 Now, with us in north Bristol, Tizzy has settled in brilliantly and has got used to our family life. She particularly enjoys snoozing on the sofa (like most greyhounds do!) and lying on the lawn on sunny days! She gets on very well with other dogs and children. She loves our routine and walks up to school with us most mornings, and enjoys the attention from adults and children alike. She enjoys walking round the park making new doggy friends, and the occasional run when in the mood. Most of the time Tizzy is a calm and sensible dog but she does sometimes have crazy moments when she bounces around spinning pirouettes and tail wagging around the house and the park - it is a joy to watch! Tizzy has a brilliant attitude towards learning commands (or is it treats? ), and is doing really well in the dog training classes she goes to. She has learnt come, sit, lie down and leave so far. Well done Tizzy! Tizzy is a very gentle, obedient, friendly and sociable dog. We are very pleased with her and definitely would recommend a rescue greyhound to anyone wanting a great companion!